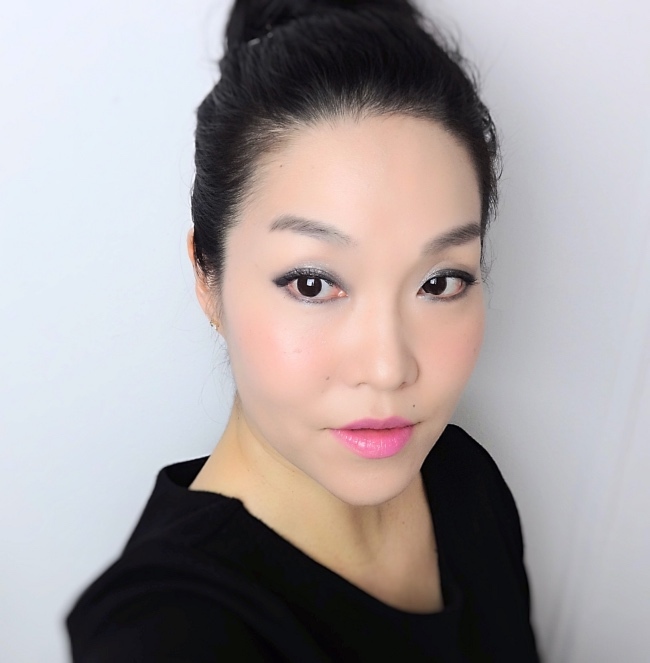 Dear My Blooming Lips-Talk (Cream) is the first Etude House lipstick I've tried in a while, and luckily for me(? ), I do not love it so that I would get into figuring out all these variations. I do like this cool artificial pink color a lot, though. 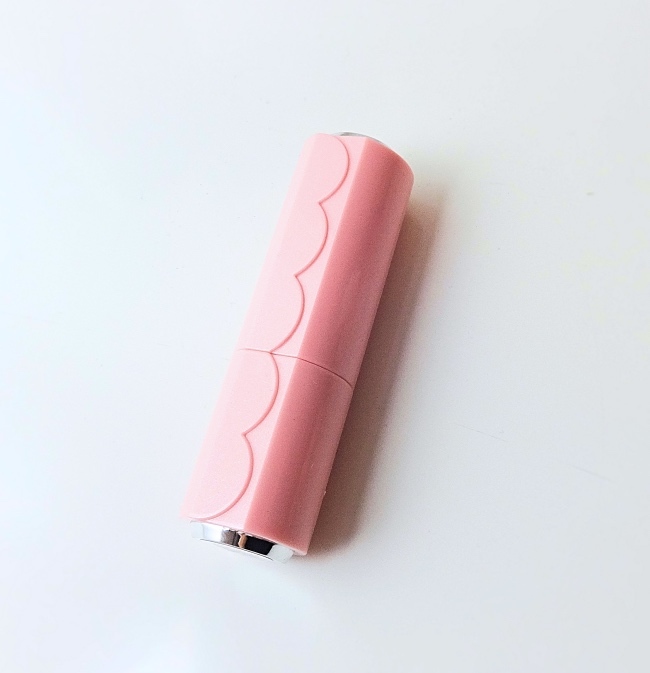 I am not particularly fond of this lipstick tube, but it is simple and sturdy. Certainly not bad for an affordable lipstick that is under $10. PK002 (화난 핑크, aka Angry Pink) is not an easy object to photograph. I used the same lighting, but the color showed up constantly different ranging fuchsia pink to light milky pink. This swatch came out quite close to the real life. 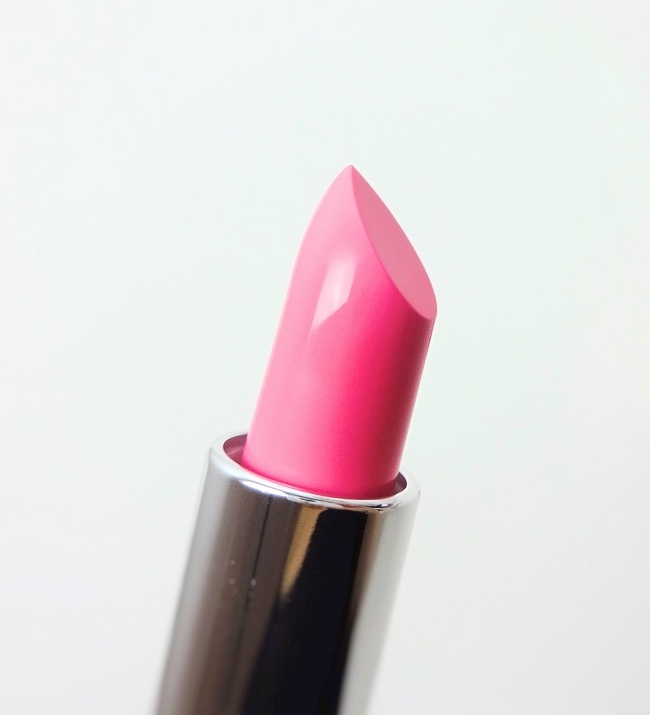 PK002 is a white-based cool pink that flashes neon. I must say there is nothing angry about this artificial pink. 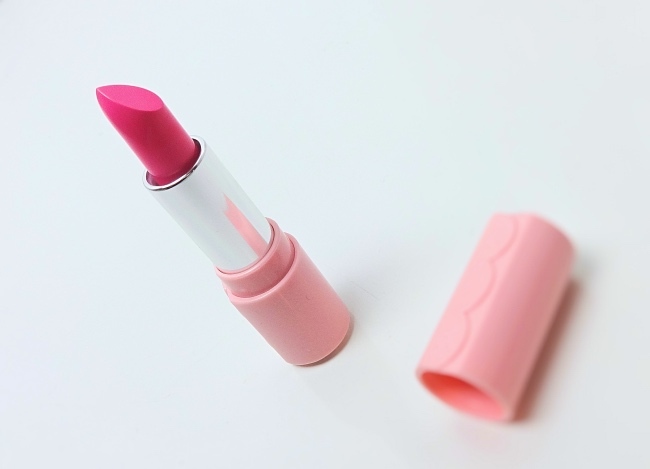 The lipstick itself is nice for the price but nothing special. The formula is neither hydrating nor drying. The staying powder is okay and it fades away in an acceptable way(meaning it doesn't leave a big blotchy spot just because you ate some Korean style fried wings, which, to think about it now, is actually pretty good). I guess nowadays I am more partial to lip tints. When it comes to traditional lipsticks, I am spoiled by better formulations and willing to pay a bit more for that, too. Here is an overall look. I paired Etude House Dear My Blooming Lips-Talk (Cream) PK002 with shimmery cool green eyes(Lancôme Erika F (avail on eBay)). I forgot what I used on my cheeks. Sorry. 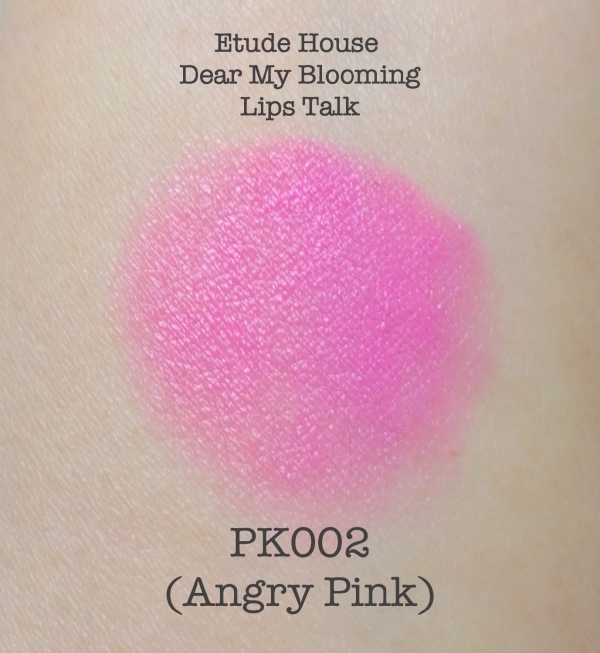 The color PK002 is a unique and fresh shade in my collection. More accurately, I did not have anything like it in a while although I do remember I used to collect many of the similar. It is a rather difficult color to pull off even for me who is not afraid of blue pinks in general. The artificial character of it requires more efforts - it demands flawless base, for example - and more courage, obviously. I will enjoy "Angry Pink" while it lasts, but I will probably buy NARS Schiap again if I have another craving for a similar shade. 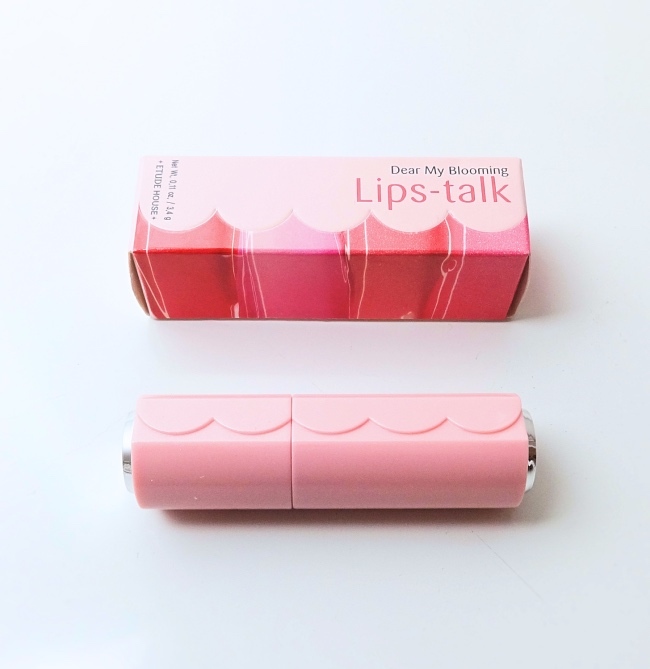 Etude House Dear My Blooming Lips-Talk (Cream) is available on eBay. HAHAHA ANGRY PINK....HAHAHAHAHAHA I LOVE THAT NAME! I'd buy it just for the name! The colour is so pretty on you-it is a hard shade to pull off, but you do it the best of anyone I've ever seen.